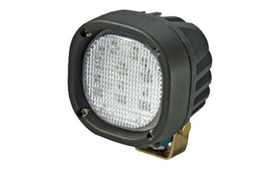 The LED work lamp, a new and advanced technology light that combines advanced solid state LED lighting performance with an ultra compact and highly advanced durable design, it is designed specifically to withstand harsh operating conditions encountered in construction, agricultural, forestry, mining, material handling and other off-road equipment applications. 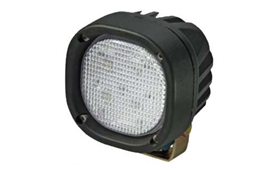 It provides uniform close range illumination with minimum power consumption. Completely sealed hence no service required . 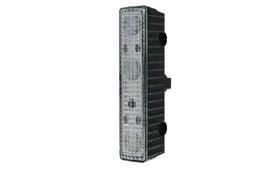 It is encased in a rugged aluminium die cast housing, dust free and of water proof design. The rear of the housing incorporates large cooling ribs for optimum heat dissipation. 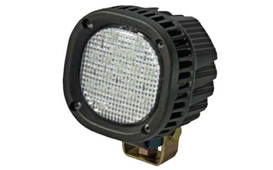 Very high life span  no bulb change necessary, thereby machine fleet can operate 24hours - with no down time  big financial saving. Operating Temperature -40 Deg.C. To + 75 Deg.C.